The retailer thinks these brands exemplify a commitment to quality, environmental stewardship, ethical sourcing and innovation. This year’s Supplier Awards are out from Whole Foods Market, and there are some exciting brands in the mix, including some that are relatively new to the spotlight. 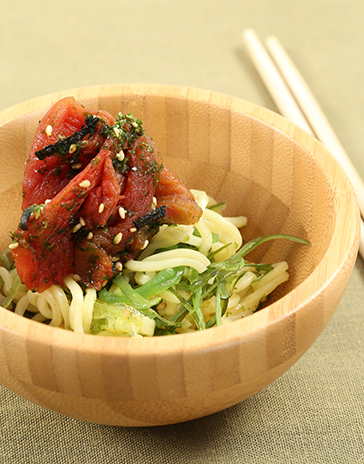 Take Ocean Hugger Foods, for example, maker of Ahimi, the “first-to-market sashimi-grade vegan tuna product,” which is now in New York and Los Angeles Whole Foods stores. Ocean Hugger Foods’ innovation spurred Whole Foods Market to include “high-tech, plant-forward” foods as a top food trend for 2018, and won the Outstanding Innovation award. The company explains that its Ahimi is made from tomatoes whose texture and flavor are transformed through a special technique. Its naturally occurring levels of glutamic acid help give it a savory, meaty flavor—but it's free of mercury, is safe for pregnant women and doesn’t contribute to the overfishing problem. For the Organic Commitment award, the retailer recognized organic produce aggregation company Coke Farm and gimMe Health Foods, purveyor of organic seaweed foods from the woman (and family) behind Annie Chun’s. Whole Foods called out gimMe’s contributions to the growing functional snack category, in the form of the popular roasted seaweed snacks but also seaweed chips and thins. This maker of natural bar soaps, hand soaps, and bath soaks, bombs and scrubs is a Whole Foods fave, “for pioneering experiential, natural bath and body care, and exceeding goals for growth”—while, Pacha says, boosting livelihoods around the world by setting up soap shops, clean water initiatives and other sustainable ventures in developing nations. It’s been a WFM supplier since 2014, and a recipient of a loan through the Local Producer Loan Program. Supplier of the Year, Northeast Region: Plenus Group Inc.